Validate the HTML and CSS of this page. 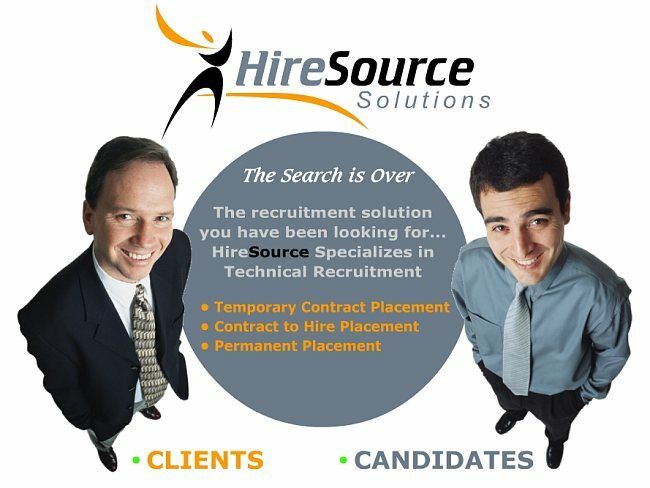 HireSource Solutions, based out of Cherry Hill, New Jersey, provides clients throughout the country with expert Technical Recruiting and Technical Staffing services. Contact our national division today to tap HireSource's expertise in recruitment and staffing for your company. Whether you are an employer who is new to our services, an existing client, or a talented technical employee between positions and looking for a company that's the right fit... HireSource Solutions can help! Our services are risk free and guaranteed. So, contact us.